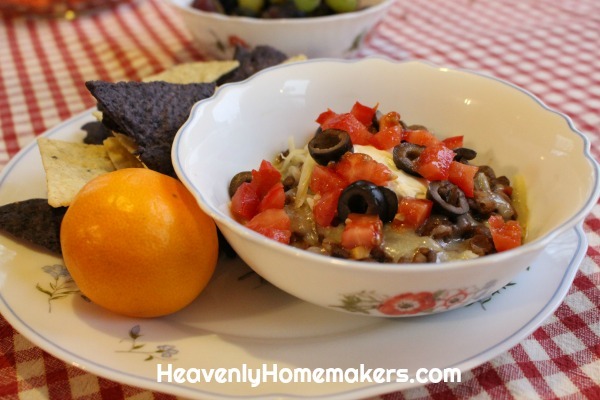 Simple Lentil Nachos is a don’t plan ahead, don’t thaw meat, don’t worry about dinner recipe! If only all meals could be this easy. Oh, and it’s also a don’t spend much money recipe. High fives all around. 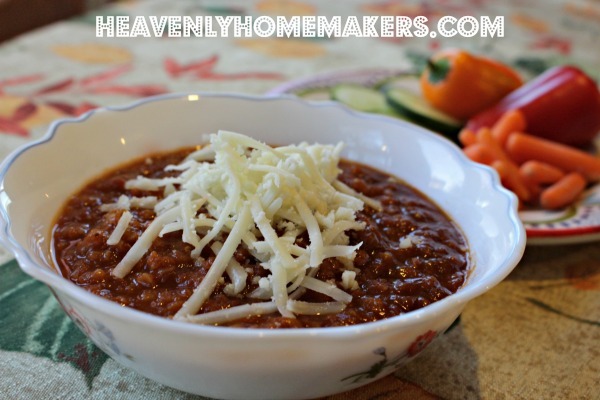 Welcome to the first recipe in our Simple Meals on a Simple Budget series! Now you know me. I’m a meat-lovin’ girl, living in a household of meat-lovin’ men, all of whom are athletes who need large amounts of protein every day. So I always cringe just a little bit when discussing “meatless recipes” because while I love that this is a great way to save money, I don’t love how unsatisfied meatless meals leave my sons. They love carbs and can eat potatoes until the cows come home, but well, they definitely need the cows to come home. And then they need said cows to land on their plates in the form of a roast or a patty. But this is what I’ve learned: While it doesn’t work well to go meatless for an entire day at my house, it certainly is possible to offer one or two meatless meal every couple of days. As long as I try to balance our meatless meals with plenty that are meaty, and as long as our meatless meals are still full of protein, we do okay. Phew, kind of sounds like we’re high maintenance around here. Nope. Just hungry. Hungry, hungry, hungry. So…Simple Lentil Nachos. This recipe is ridiculously easy so brace yourself for the simplicity. It’s also relatively boring if not dressed up with tasty toppings. But rest assured, once you’ve filled your bowl with all that you love, scooping this onto a chip is actually quite good! 1) Cook lentils (which is, by the way, effortless). 2) Add salsa and salt. 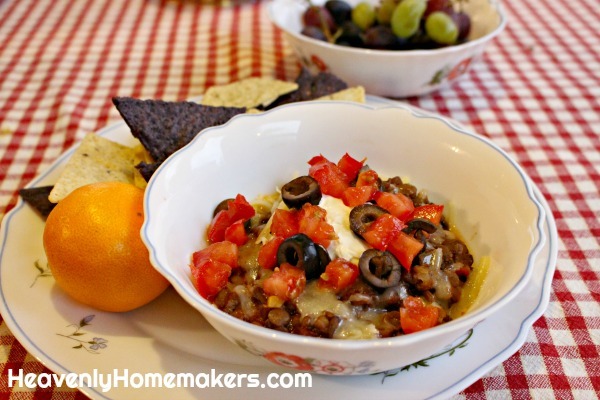 3) Serve in a bowl with your favorite nacho fixins. Don’t tell all the other beans, but lentils have become my favorite legume because of how effortless they are to prepare. No need to plan ahead or soak. Just boil and serve. In a medium-sized saucepan, stir together lentils and water. 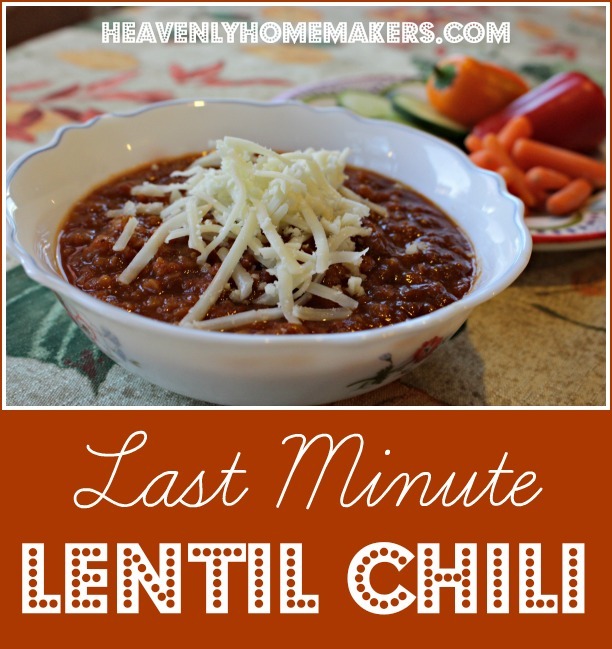 Reduce heat and simmer for 15-20 minutes or until lentils are tender. Stir in salsa, heating for an additional 2 minutes. 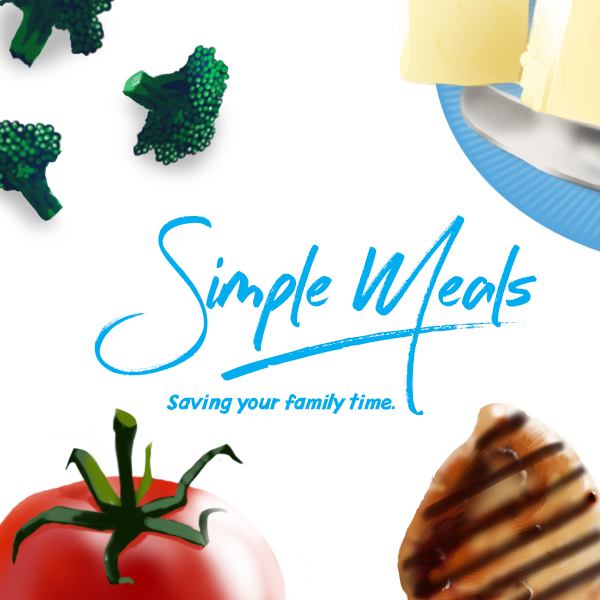 Start your new year off right by becoming a Simple Meals member! Every week we’ll send you a great menu plan full of Simple Recipes like this one. We’ll equip you with a grocery list. We’ll break everything down so that your meal prep is as simple as possible. We’ll give you bonus tips and recipes and freebies. And this is all for just $1 each week. You’ll love it! 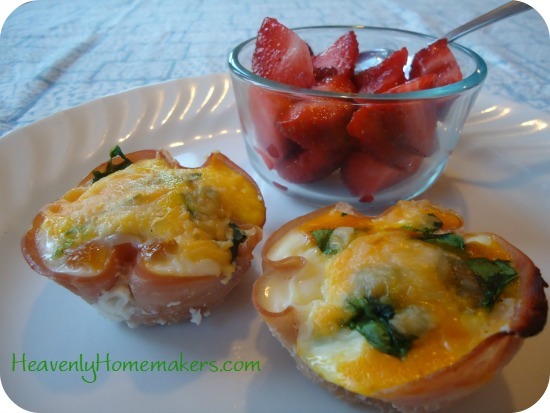 Remember our $1.00 Real Food Breakfast ideas? I promised then that I would share some lunches and dinners too. As I stated in my $1.00 Breakfast post, the following dinner servings are my size, not my teenage boys’ size. They usually eat what I eat multiplied times four or five. Technically, these dinners still cost about $1.00 per plate. It’s just that my kids eat 3-5 plates. Each. But who’s counting? Ooh, good news not entirely related to food but about the cost of teenage boys! We just learned how to lower our 18-year old son’s car insurance bill. So now we shall proceed with allowing our 15-year old son to pursue his license. Hey, it was “you can either eat or you can drive, which do you want?” I’m kidding. Mostly. 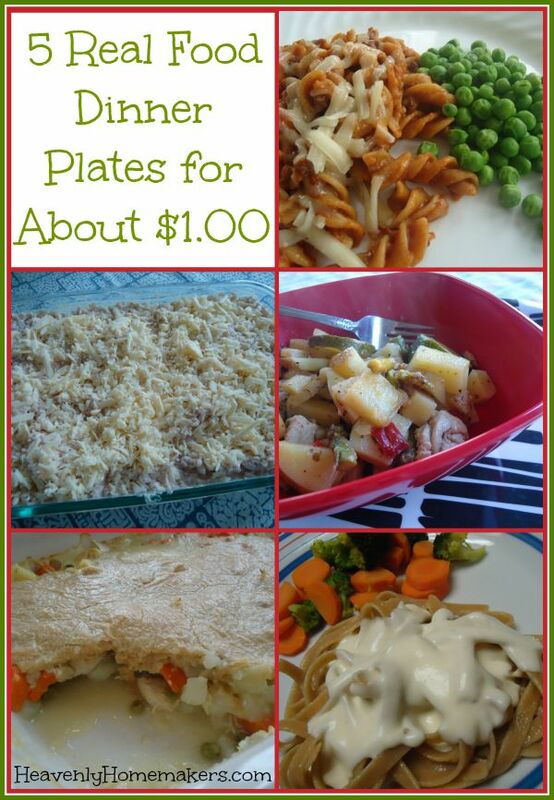 Each of the following meals can be made for approximately $1.00 per plate. They are all made with real food ingredients. They are all served with 2-4 fruits or veggies (which ups the bill, but it’s worth it by a million). The trick to this one is to go easy on the hamburger meat. Let the beans offer the protein. Stretch it with a little whole grain pasta. And if you happen to have home-grown, home-canned tomato sauce all the better on the money savings. The best thing about this recipe is that it is a one-pot meal. 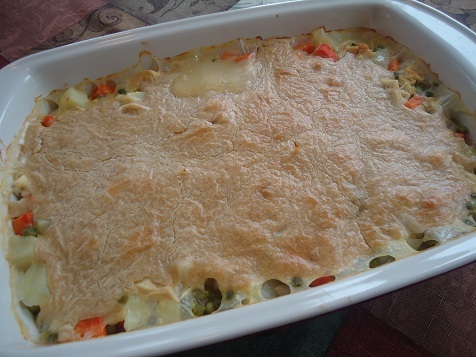 It comes with veggies baked right in. Serve a salad on the side. Maybe a fruit. It is so good. P.S. 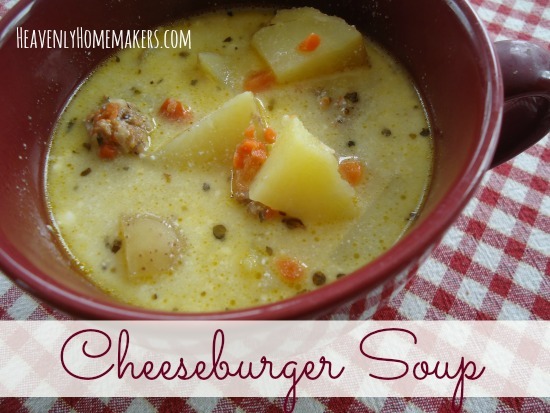 I just figured out a Hamburger Pot Pie recipe that I’ll be sharing tomorrow! This is so delicious and tastes even better than a restaurant version (which you get for about twelve bucks a plate). Serve this with salad and steamed veggies. Adding some chicken will add to the cost, but it sure does taste delicious. If you have a little leftover chicken, stir it in, and you’ll still be keeping this low in cost. This casserole is super nourishing because you’re cooking your rice in veggie-rich broth. 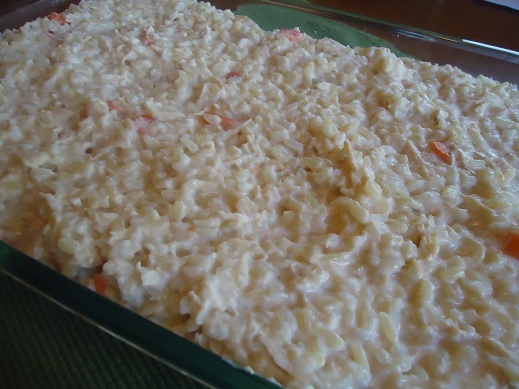 Plus there are carrots in the casserole. Plus you can serve a salad on the side. Plus you can make extra and freeze it for another time. So convenient! 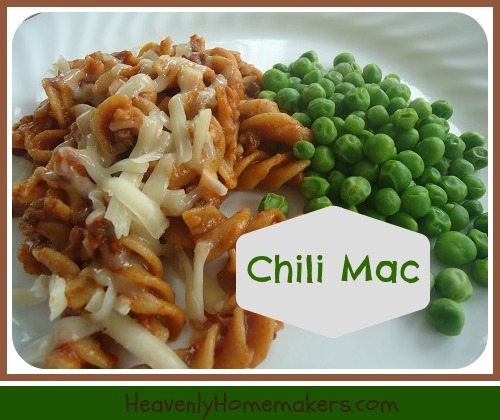 I love this recipe because you can use whatever veggies are on sale or that you have on hand. 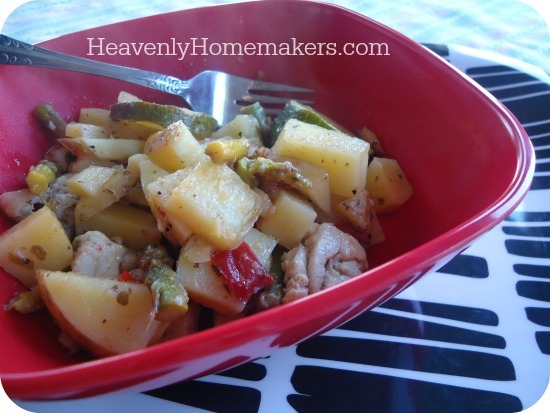 The potatoes help stretch this dish. Everything is flavorful. 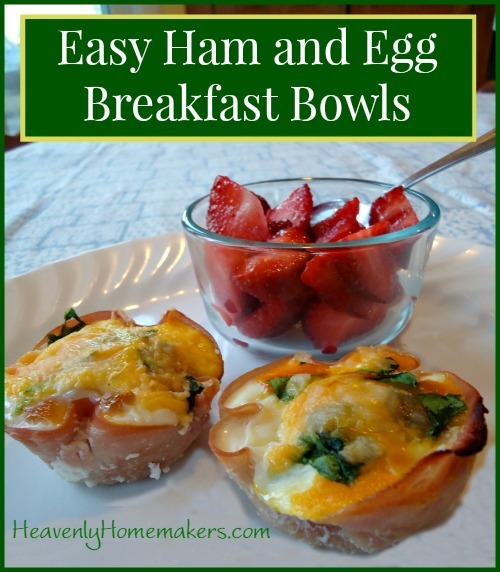 I’ve got more $1.00 Breakfasts coming soon (here’s the first one I posted). Plus I’m working on some $1.00 Lunch ideas too! I feel ya. Healthy food costs more than processed “food.” That’s because real food is…real. It’s whole and it’s good, and it is the result of hard work and careful practices. (Go farmers!) Chemicals and fillers in processed foods are cheap to make in factories. You get what you pay for. But ugh, must feeding our families eat up (literally) so much of the pay check? Always remember that the food you buy is an investment in good health. It helps to keep this in mind when you’re tempted to save money by filling your cart with cheap processed foods that won’t nourish. Be encouraged! 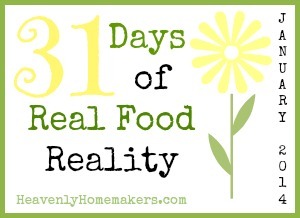 There are so many great meals you can make that are real, completely nourishing, and still very inexpensive. Phew! You’re not going to go broke. You just have to learn a few tricks to making this work. 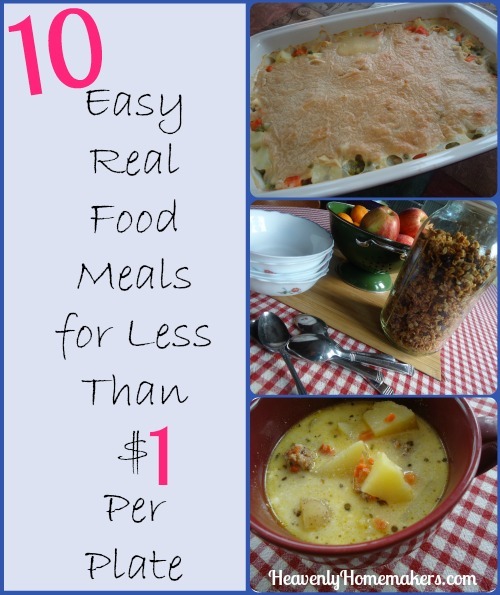 Here are ten real food meals that cost less than $1.00 per person. 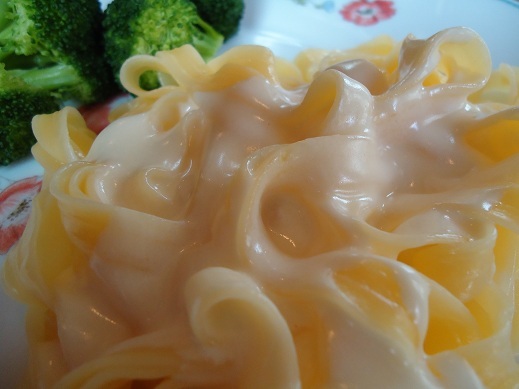 Not only are they super inexpensive, these are some of our favorite meals. Score!!! Sure, several of my boys eat 3-4 plates full of these meals. But that’s still only $3-$4 for each of them. I’ll take it. What are your favorite, inexpensive real food meals? Share your best tips for saving money while eating real food! Healthy food always takes a long time to make, right? Not at my house. Healthy food always tastes like “health food,” right? Oh, for real. Healthy food always costs a lot of money, right? Not if I can help it. Most of the guests I feed at my house don’t even suspect that I’m serving them healthy food. In fact, I fed this simple Strawberry Ice Cream to someone last week, and all he knew was that I was handing him a dish full of homemade ice cream. All he knew was that it tasted delicious, he loved it, and he asked for seconds. He was impressed that I had “taken the time” to actually make homemade ice cream. He had no idea it was made in 7 little minutes. He had no idea the dessert didn’t have any added sugar (I used stevia). He had no idea the health benefits of what he was eating. He just thought he was eating really good ice cream. Boom. Score one for healthy food that doesn’t appear to be health food. Yes, from start to finish, this ice cream just takes about seven minutes to make. No ice cream freezer necessary – all you need is a strong blender or food processor. By the way – those seven minutes it takes to make this treat? Well, it’s not like it takes 7 minutes of work on my part. I just put the ingredients into the food processor and walk away. God bless the person who invented food processors so that I can check email while I’m making ice cream. 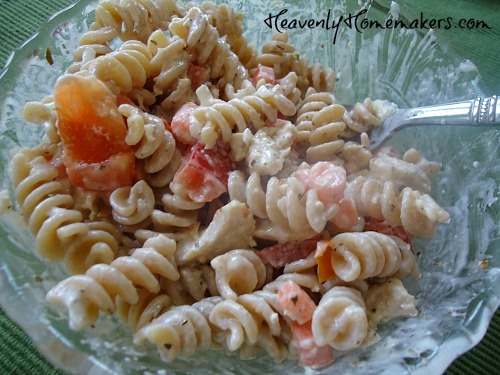 Blend all ingredients together in a food processor or blender until smooth and creamy. Serve right away. Makes 4-8 servings. Have you tried the Cool Pineapple Cream Dessert recipe yet? This is pretty much the same recipe, except for the obvious switch from pineapple to strawberries. I found that when using pineapple, I didn’t need to add anything else to sweeten the treat. 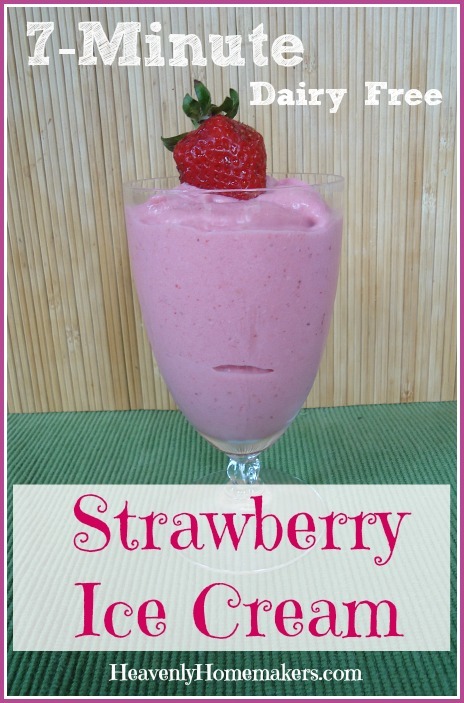 Strawberries are a little more tart, so adding a tiny bit of stevia made this perfect. Next I plan to make this treat using frozen peaches. Then maybe frozen blueberries. Then frozen raspberries. Health food? You can keep your rice cakes. I’m having ice cream. What’s your favorite “healthy food” to serve that doesn’t appear to be health food? Here you will find one of the coolest (literally) meal ideas for summer. Here you will see a great way to feed your whole family – even the picky ones. Here you will experience deliciousness that isn’t expensive, offers lots of nourishment, and is super easy to put together. Yes, here is a great idea given to me by several readers last summer that I finally tried last week. Again, I must ask: Why did I wait so long to try this? Welcome to our lives, oh lovely Pasta Salad Bar. We’re sorry we never met before now. You’ll be a regular visitor at our house this summer. We will load our bowls full of your goodness, based on what sounds good to each of us at that moment. You are deliciously fun. This meal is extremely filling and hearty. Oh, and a side of fresh pineapple or chilled watermelon goes great with this. Ever done something like this before? 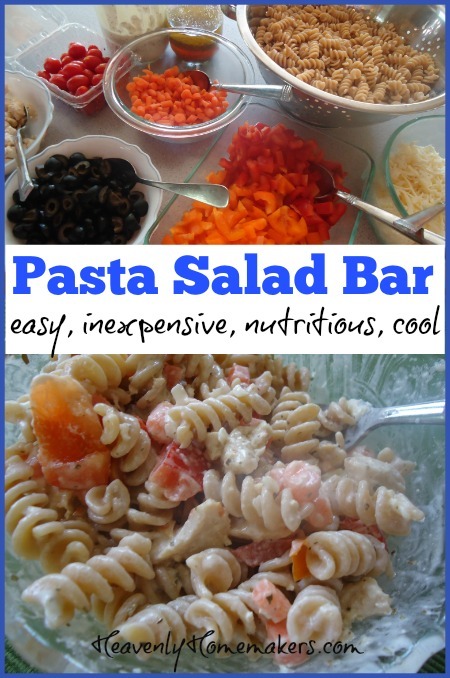 What other ingredients do you think you would add to this Pasta Salad Bar? Boy: I’m gonna still be hungry. Boy: Can’t we have something else too? I just don’t get full on grapes. Every time. You’d think I’d recognize the difficulty by now in hearing the difference between the words grape and crepe, but they rhyme and confuse the children. Then they confuse the mother. And then the entire conversation is confusing. In a bowl, whisk together the eggs and cream until well combined. Pour about ¼ cup of mixture into a well greased, hot skillet. I find that medium/high heat works best. Cook the crepe until it begins to bubble and thicken, then flip it to cook the reverse side until lightly browned. Spread a little jelly on one flat side of the crepe, roll it up, and serve. Repeat process until all crepes have been cooked. Makes about 10 small crepes. I usually double or triple this recipe to fill my family. Yes, sometimes we actually go through 18 eggs in one sitting. And sometimes we also eat grapes. But not usually at the same time as crepes. Although I should totally do that sometime – just to throw everyone off. Hmmm…. What’s your favorite kind of crepe filling? P.S. 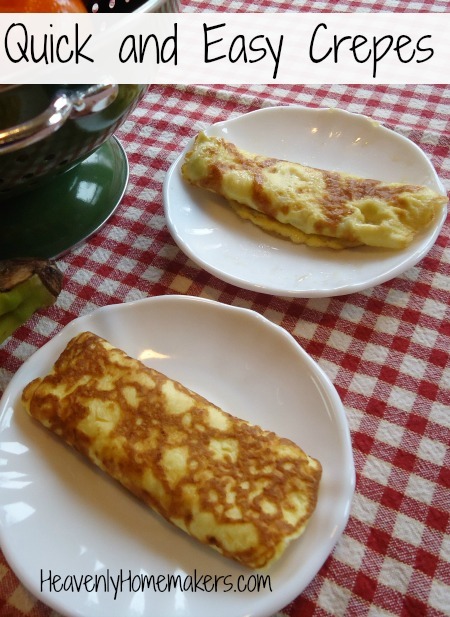 I shared a recipe for our favorite Cream Cheese Crepe Filling here! Here’s a wonderful list to get your started. 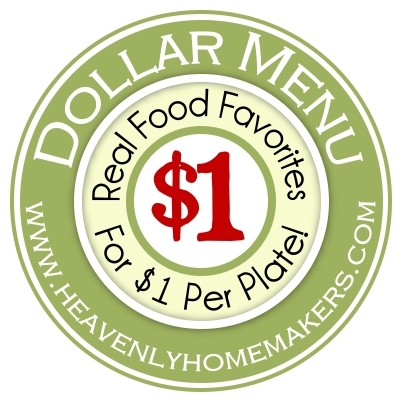 Subscribe for FREE to Heavenly Homemakers so you won’t miss all the new Simple Recipes! Enjoy all these recipes without effort when you become a Simple Meals member! Every week we’ll send you a great menu plan full of Simple Recipes like this one. We’ll equip you with a grocery list. We’ll break everything down so that your meal prep is as simple as possible. We’ll give you bonus tips and recipes and freebies. And this is all for just $1 each week. You’ll love it! Get all the details here. You’ve likely seen this recipe on my site before, but I wanted to highlight it as a delicious meal that costs less than a dollar per plate! 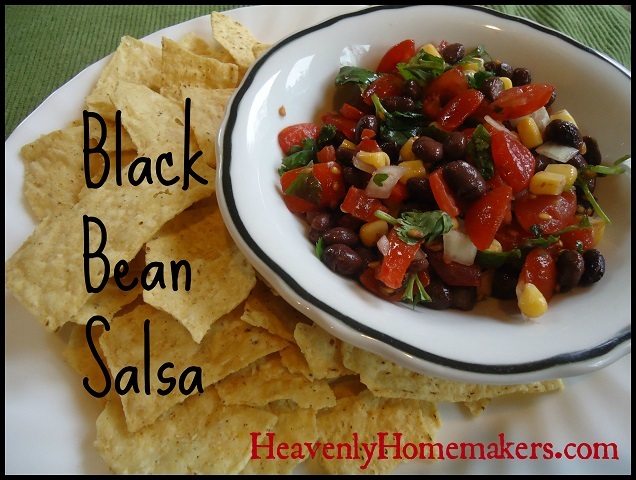 Black Bean Salsa is easy to make and has only five healthy ingredients. It tastes so fresh, and the cilantro makes it so flavorful. I serve it with Organic Corn Chips. The total cost for the salsa and the chips costs less than $6 and will feed my entire family. 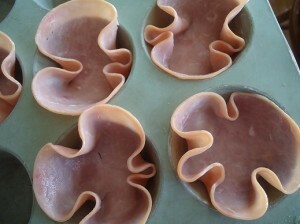 This is also a great, inexpensive snack to share with guests at a party.